This is my first review for a children’s book and I couldn’t be more excited. This book was actually given to me by a previous coworker right after BabyJ was born. I read this book to him every morning before I take him to daycare. Between the incredible artwork and rhythmic rhyming, BabyJ is thoroughly engrossed in the story each time. He smiles along with the rhymes. I love children’s books, but this one has a special place for me. The basic message of the story is that the reader will always love their child, regardless of where they are or how they feel. The love that the reader feels for their child surrounds them wherever they are. To be honest, I was an emotional wreck the first few times I read this to my son. Even now, I tear up at times. If he is more wide awake while I read, I will catch him looking up at me and smiling as I work through the flow of the story. The artwork in this book is something else, as well. There’s something beautiful and serene about the images. Each page includes an image of an animal of some kind and the colors are perfectly chosen. I look forward to owning more of Nancy Tillman’s books and reading them to my son as he grows up. Definitely add this book to your collection if you have any little ones around. The Final Countdown – 5 Stars! I have SO many favorite books, so this was a hard list for me to make. I tried to pick books that have significance to me. More information about this book will come in a post later on during Book Blog Writing Month. This series is about witchcraft and completely brought me into this incredible world about magic. I’ve read the series multiple times now and still have an emotional reaction to it. This book was gifted to me by a previous coworker and I’ve been reading it to my son every morning before I drop him off at day care. It has become out little tradition. A review of this book will be coming soon. It is AMAZING. I have officially become a Nancy Tillman fan. This is a nostalgia book for me. I read it in high school and became very attached to it. It was my first journey into the world of Nicholas Sparks. This series was my first introduction to Michele’s literature. I steadily fell in love with Xander and there was no turning back once I hopped onto this adventure. When she asked me to edit for her, I definitely couldn’t say no! 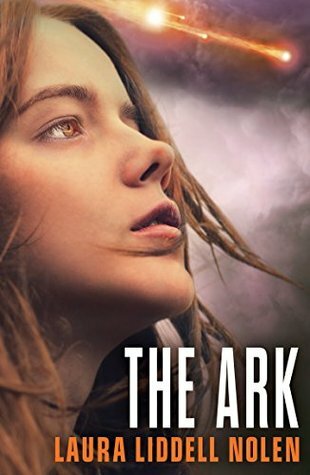 The perspective and message within these dark novels really struck a cord with me. If you haven’t read these yet, you should hop on board the Hunger Games train. And I don’t mean the one to the Capital. The movies are also incredible; while there are bits missing from the books, they are depicted very well! One of the best children’s books to exist. My family had my best friend make me a baby shower cake of The Giving Tree. My guests also signed the inside cover. I will always have a special place for this one. This is the book that the Broadway musical Wicked is based off of. Gregory Maguire is a very talented author with quite a bit to say. His tongue-in-cheek style mixed with his knack for twisting fairy tales and traditional stories makes each of his stories a new experience. You can see my review of Wicked here.